Do you want to unleash your creativity and make an adorable creature? 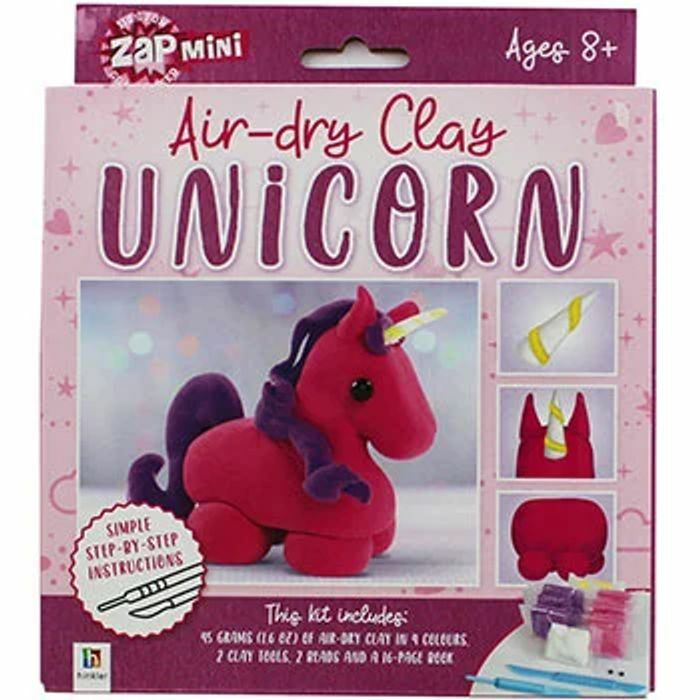 Take air-dry clay craft to the next level with Zap Mini: Air-dry Clay Unicorn. Follow the simple instructions and illustrative guides and you’ll have made a magically cute and majestic unicorn in no time. Including everything you need to make one enchanting unicorn, this charming kit will teach you how to create gorgeous clay models that will really wow your friends and family! Thank you for sharing this great deal itll help keep the grandaughter entertained on a wet day.